PANDORA...Sterling Silver, Ladies Frog Charm Bracelet With Tag. 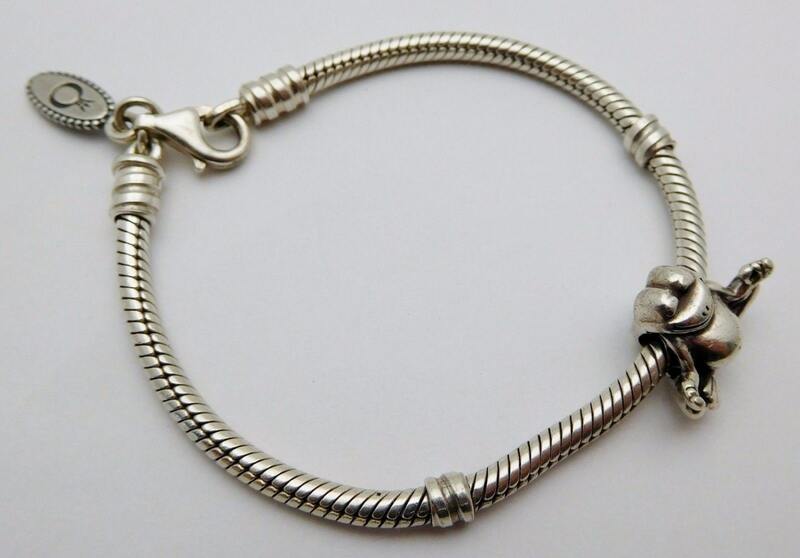 Here is a beautiful, Unisex...PANDORA STERLING SILVER LADIES CHARM BRACELET with FROG CHARM (100% AUTHENTIC). Measures 6 2/4 Inches Long and weighs 14.3 grams.